The announcement was just made that So Ji Sub has finally signed onto another drama! So Ji Sub who has been M.I.A since Master’s Sun–is coming back to TV–exciting news right? Time to party? Turns out what he’s signed on for is one of those online web drama–a short (very short) drama made just to be online. Come on now! Isn’t that cheating? What has he been doing all this time?Master’s Sun was so popular you can’t tell me that producers aren’t begging for him to sign onto their dramas. And he’s not the only one who is trying out this new format. 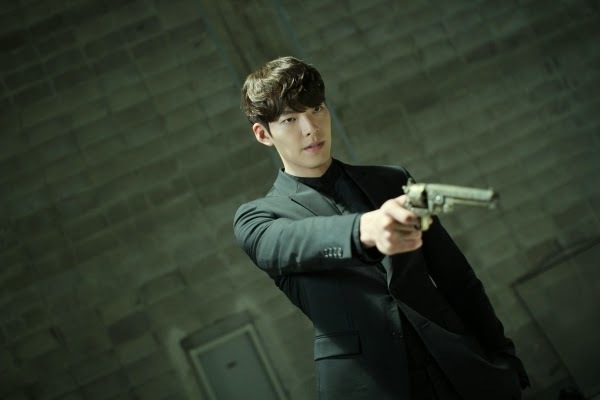 Currently we have Woo Bin starring in Love Cell–and it’s a big success. I say–of course it’s a big success–it’s got freaking Woo Bin. At least with Woo Bin, he starred in last years Heirs, had the movie Friend 2, and has another movie coming out shortly (oooh, it’s a crime caper and I want to see it so bad!). So Woo Bin gets a pass at skipping the regular drama and going to the web drama. He’s giving us a lot of choices if we want to see him and a web drama is probably easier to sneak into a schedule. That’s probably the lure of the web drama right? A short bit which will allow the actors name to be put out there without the rigors of a movie or a drama. And we should be grateful for anything, right? I just dislike the shorter format, as I don’t think there is as much space to tell a stratifying story. Maybe I’m just cranky that we’re not getting a full dose of some of our favorite actors. On the upside, because these actors are so popular, and the episodes shorter, the chances of getting them subbed is higher, right? So Ji Sub’s drama is called A Good Day, but there is no other information on it except it is being filmed in Jeju Island and Seoul.